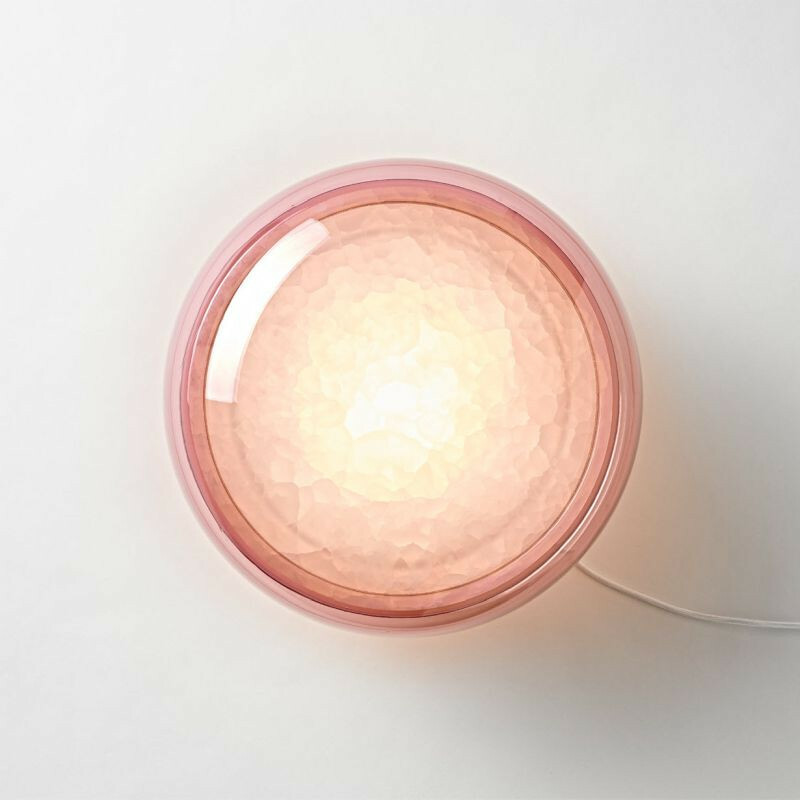 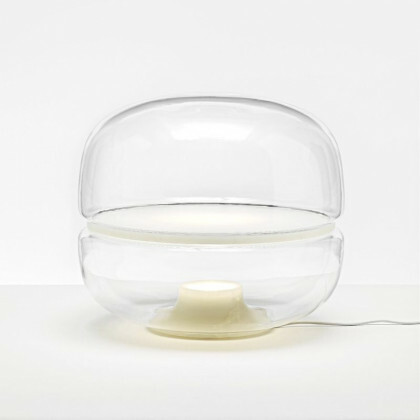 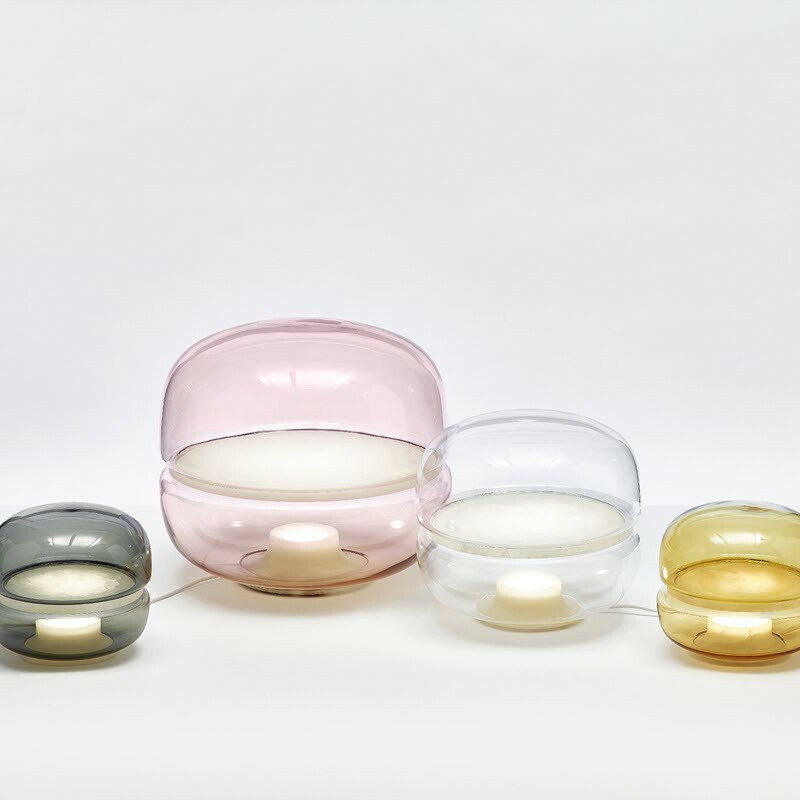 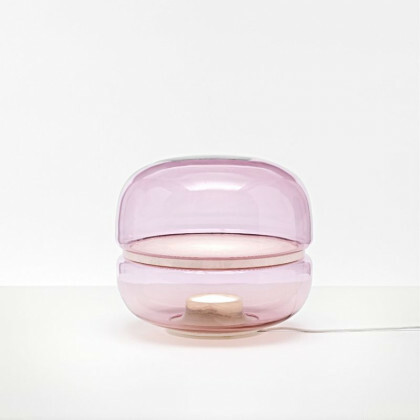 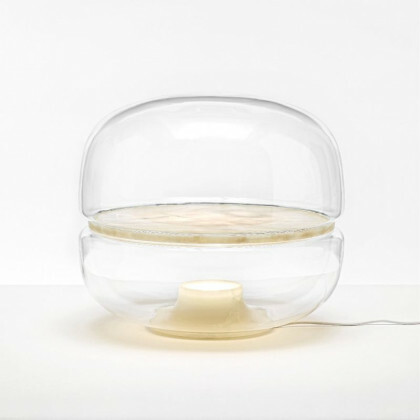 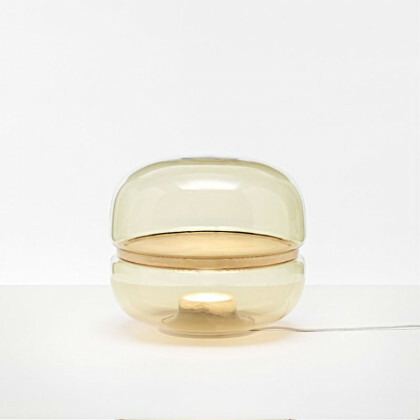 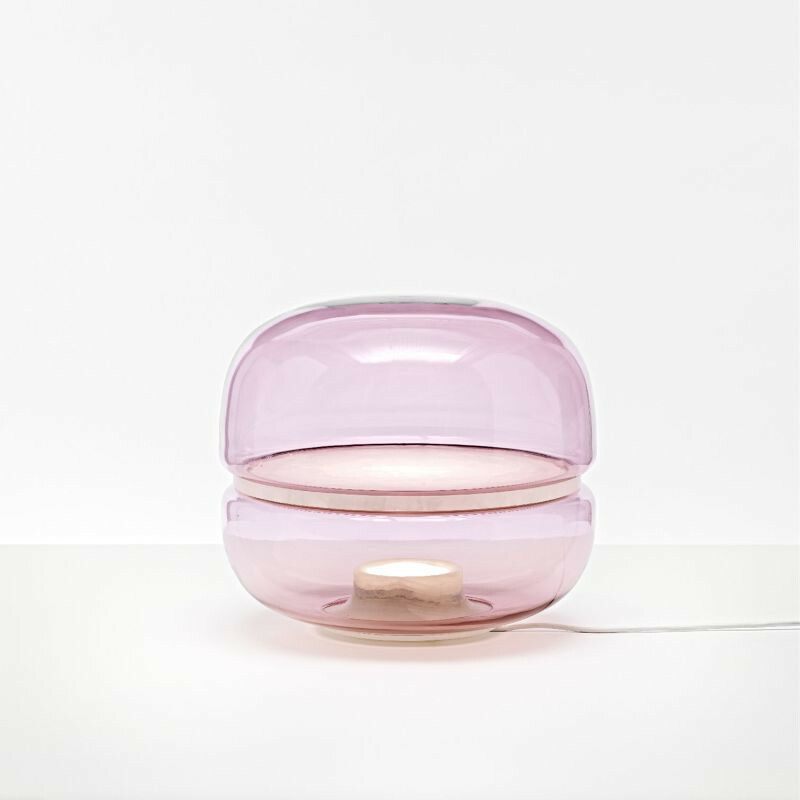 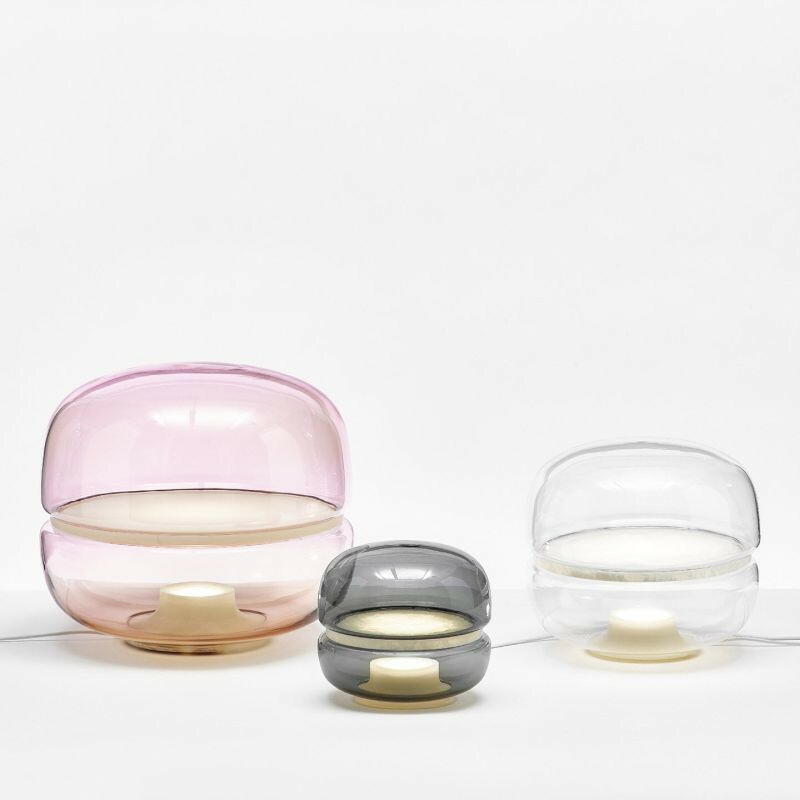 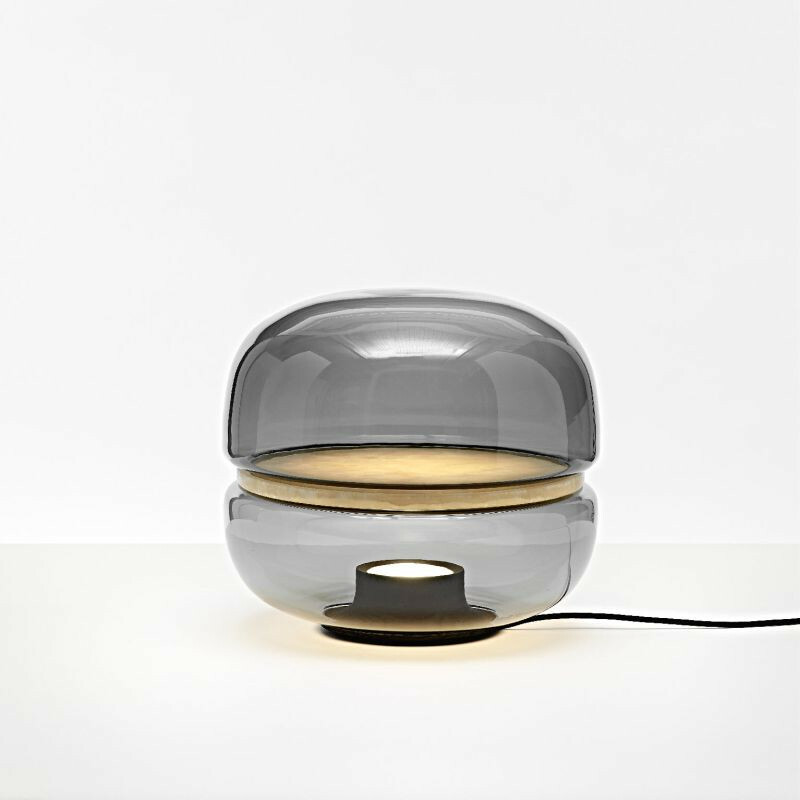 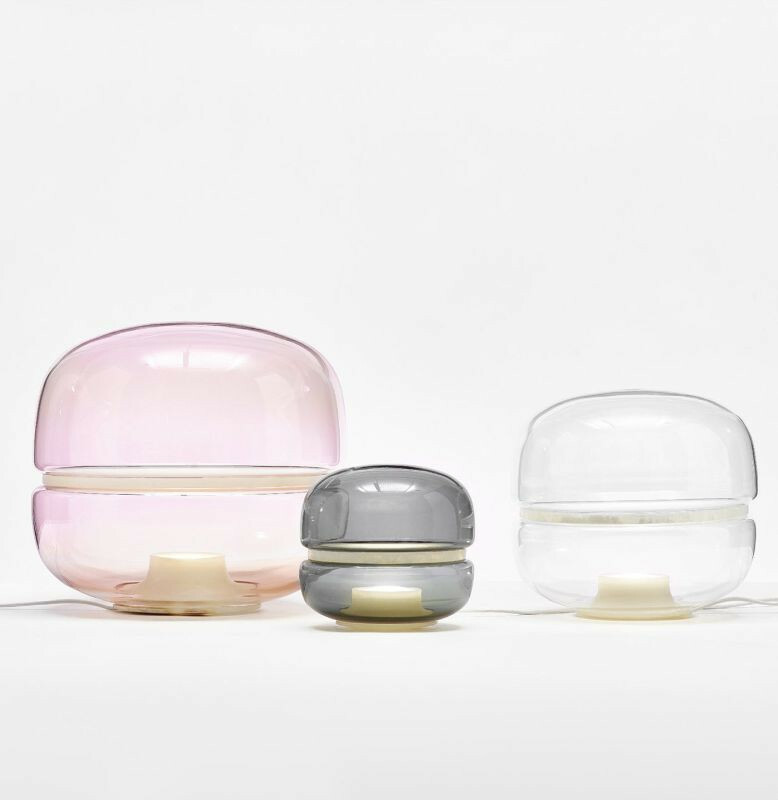 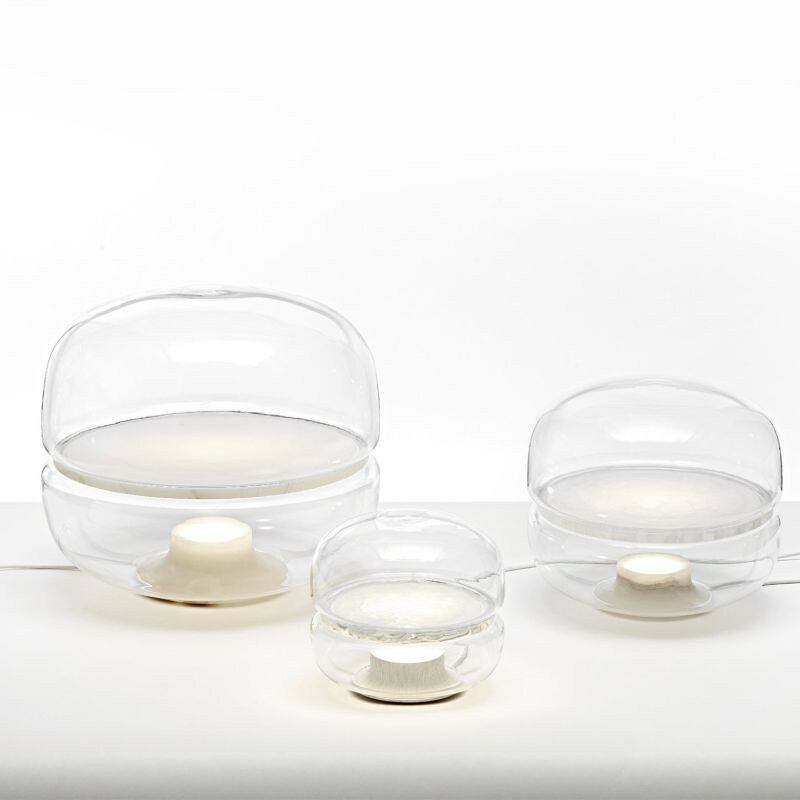 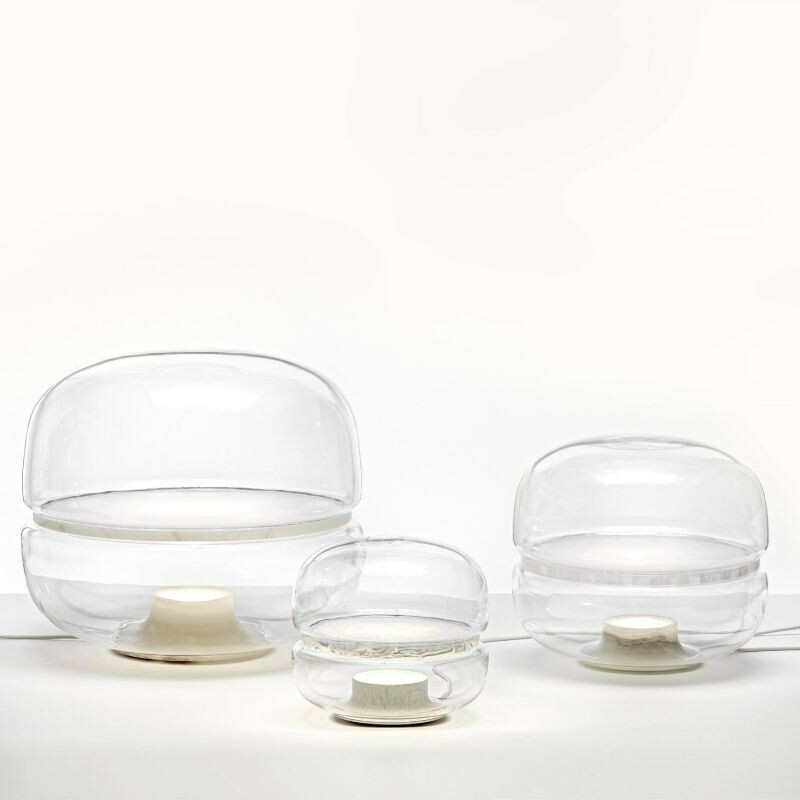 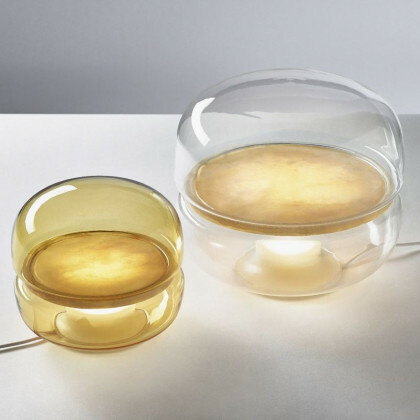 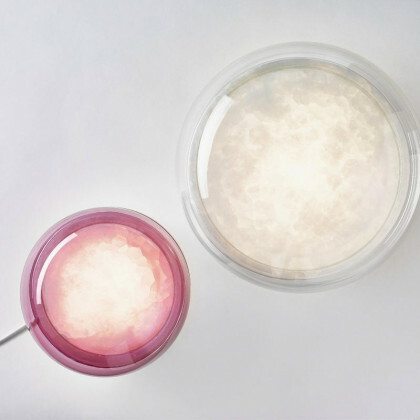 Designed and named by its macaron seemingly shape, this lamp is unique not only in shape, but also in the way it is designed. 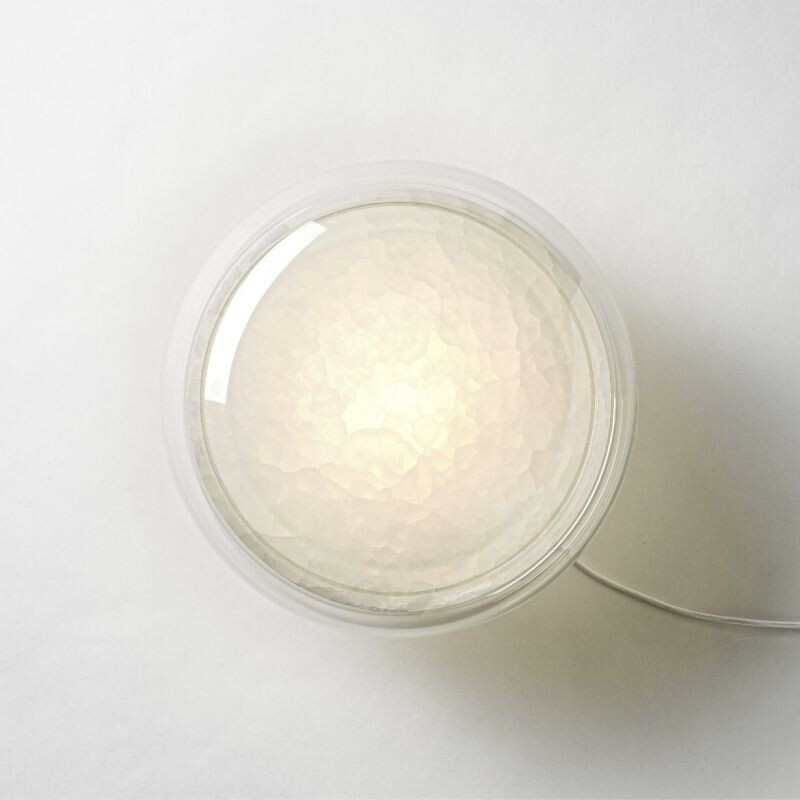 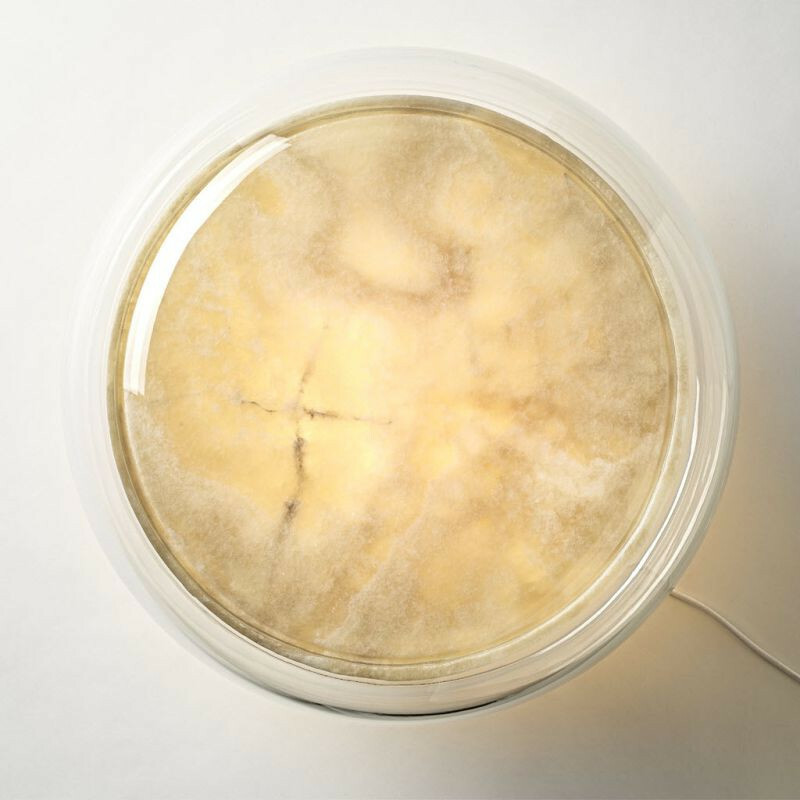 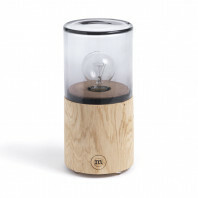 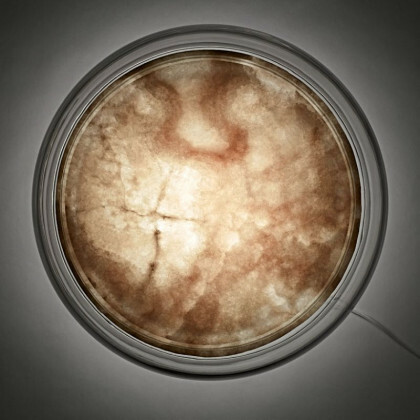 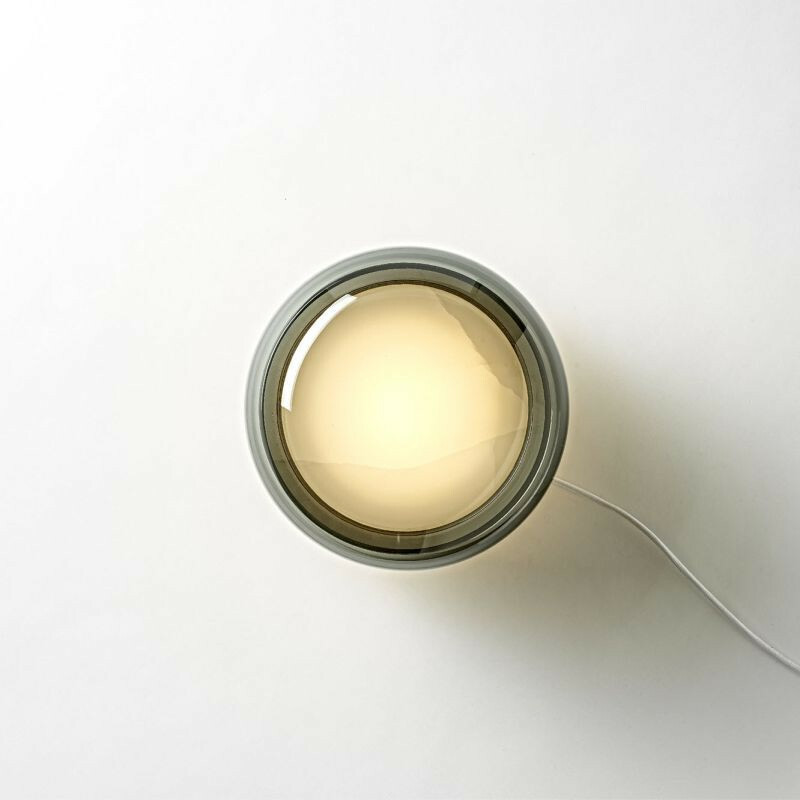 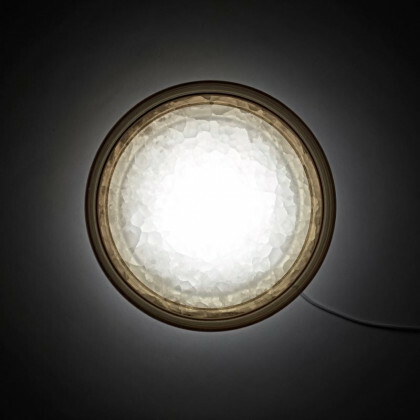 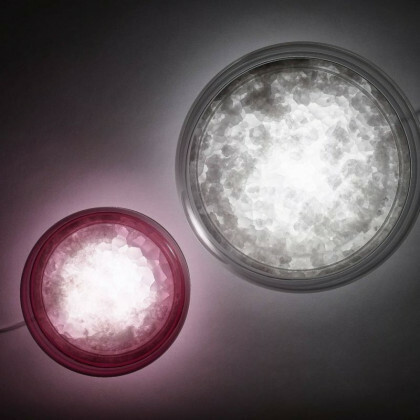 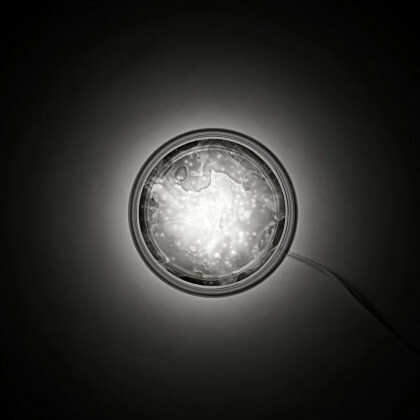 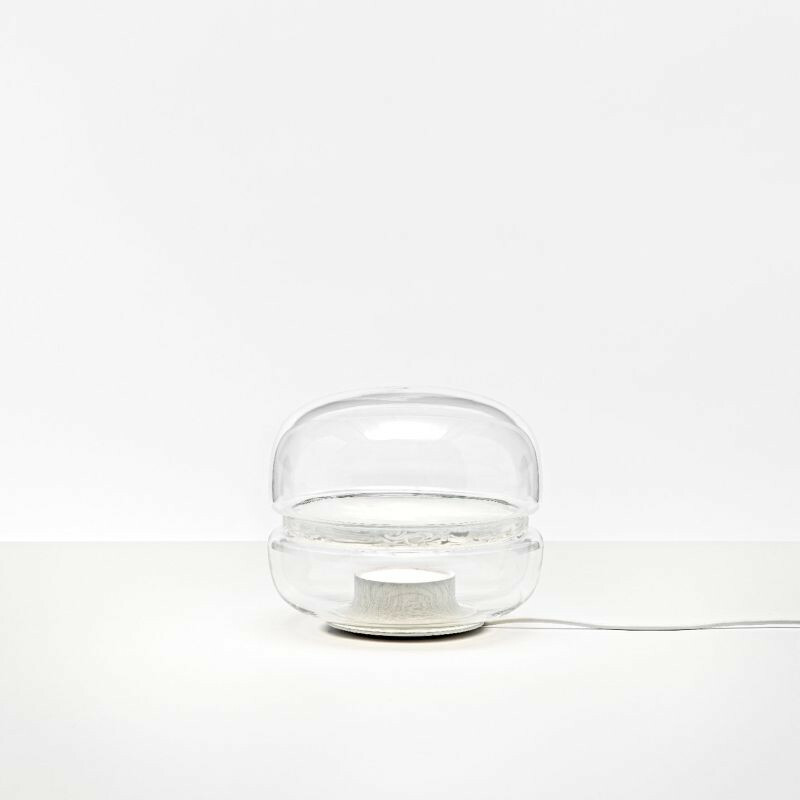 The lamp has its light source at the bottom of the transparent lamp, and it glows upward. 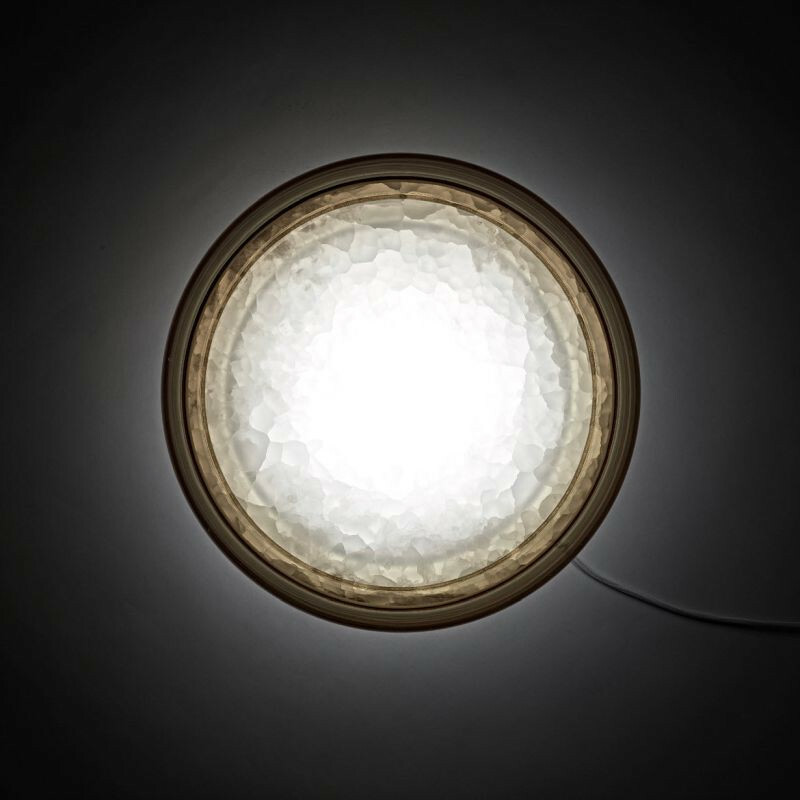 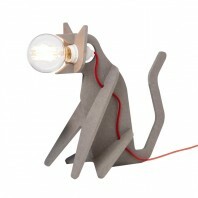 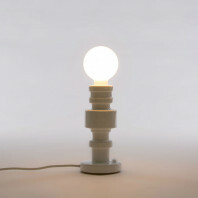 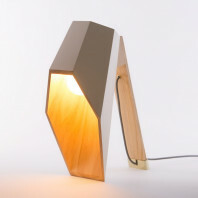 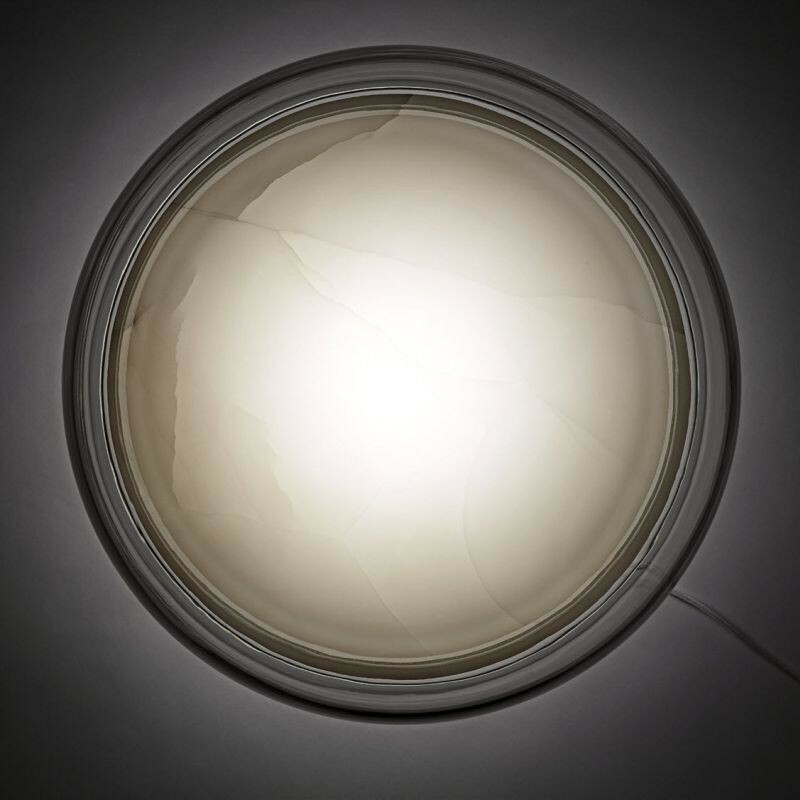 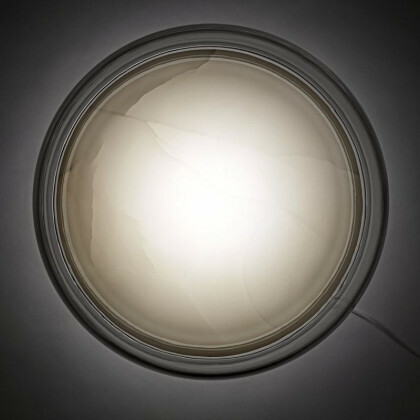 This light direction creates a mesmerising effect through the lamp and creates a unique way of light emission. This bounce off of a Meringue collection in France, is a similar design and concept. 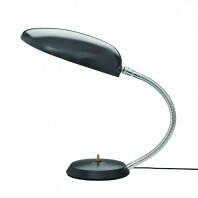 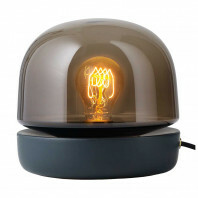 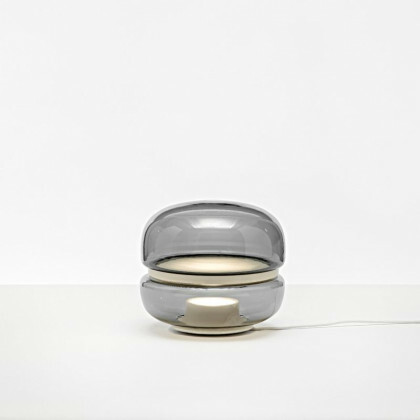 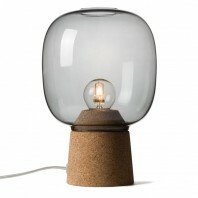 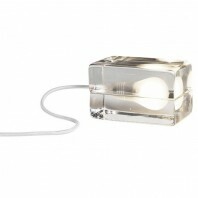 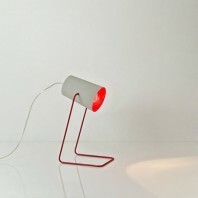 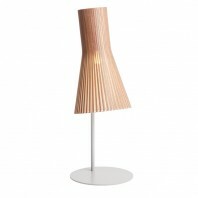 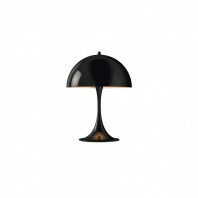 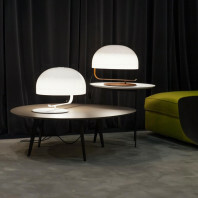 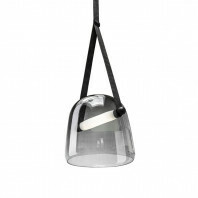 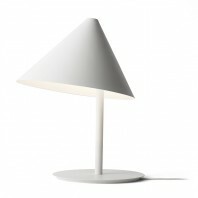 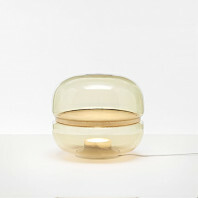 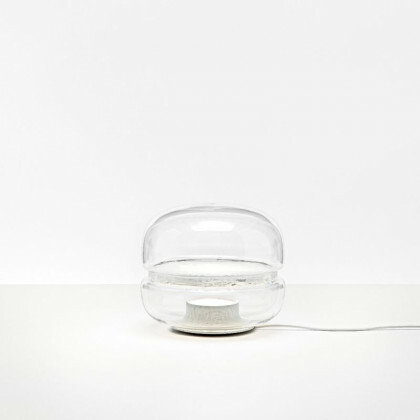 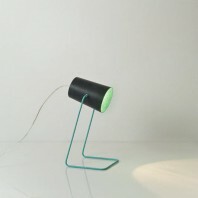 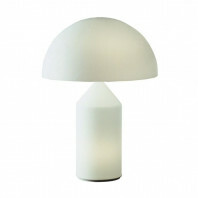 The table or surface lamp is a great addition also to your floor. 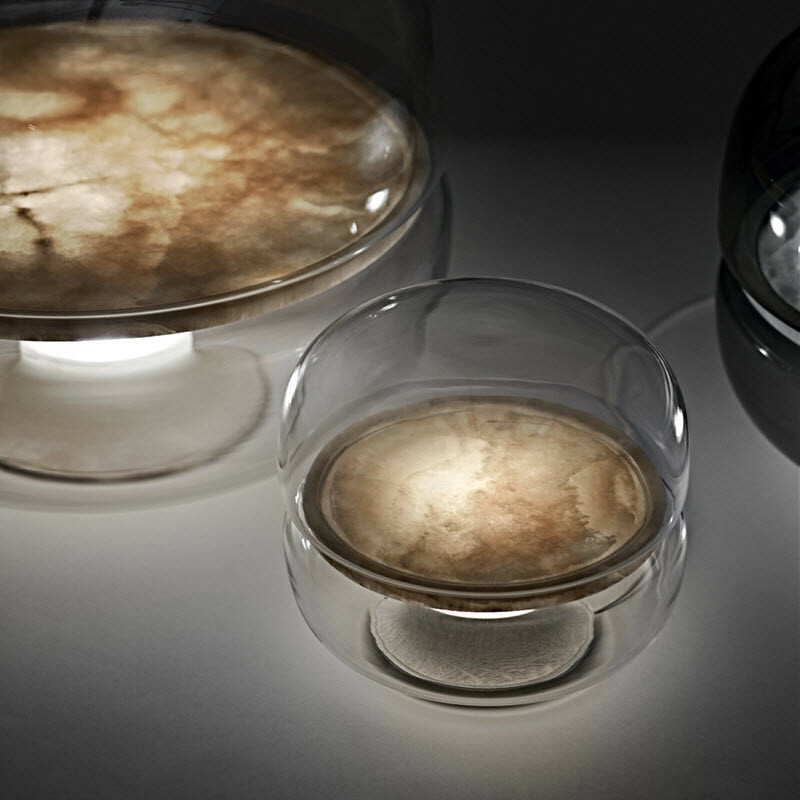 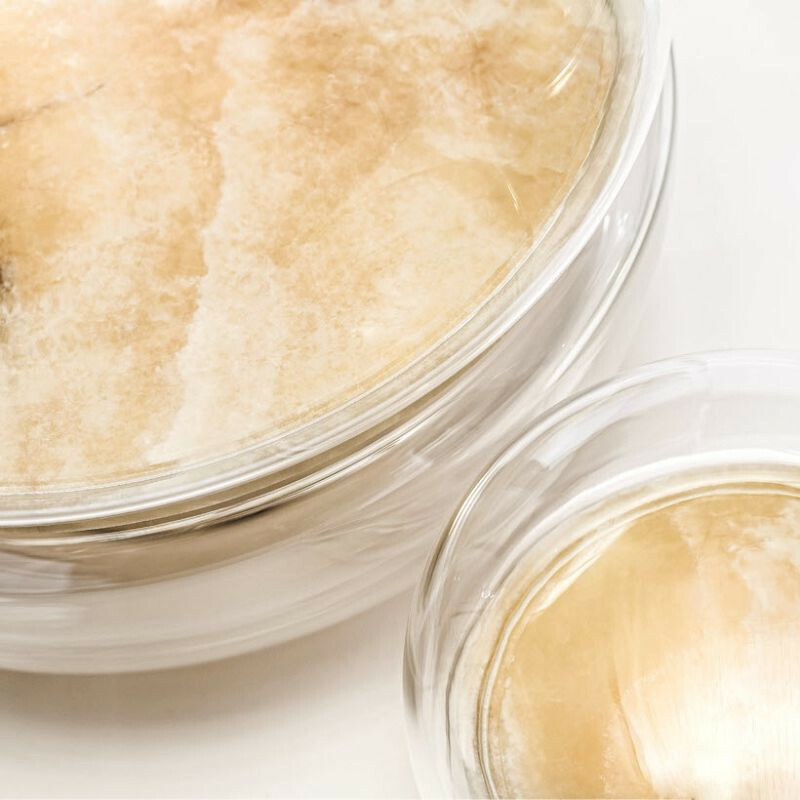 The collection also goes one step further and not one offers three different sizes, but also an alternate version which a centre plate is added, made of fused glass shards and set upon a wooden base, giving it a different look. 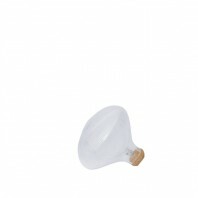 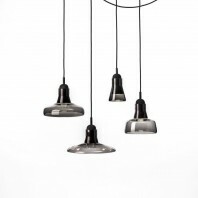 The three different sizes are small, medium and large, using an option of 230V and 110V lights. Each size is offered in four different colors. 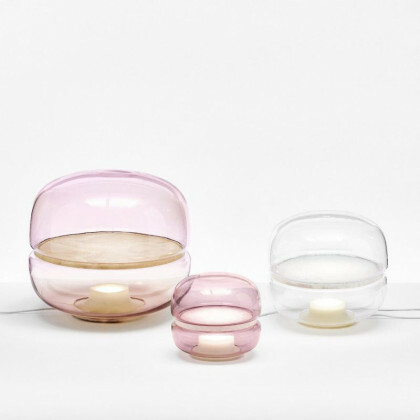 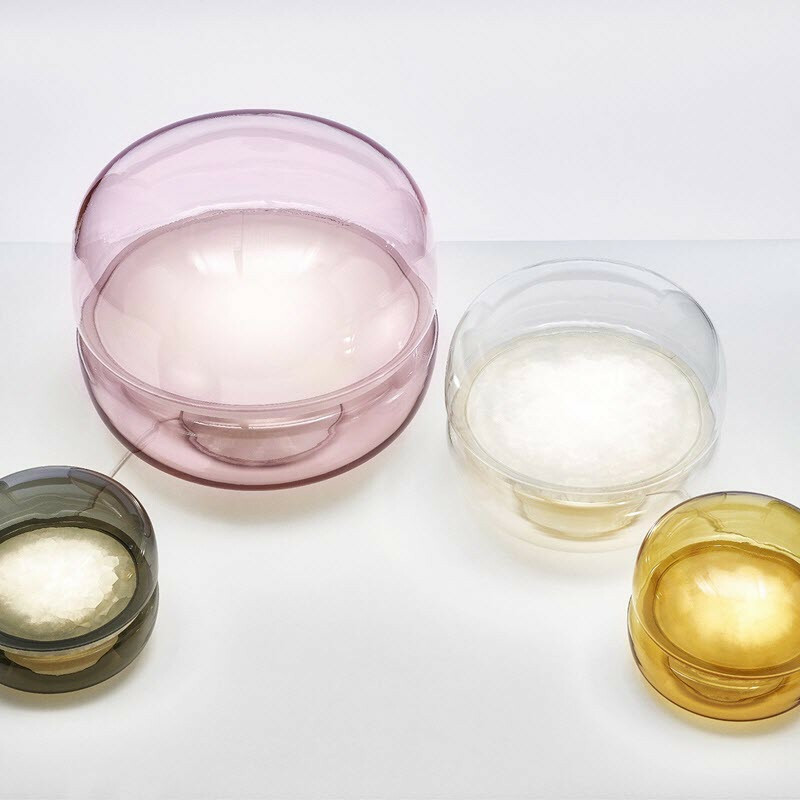 The options that are available are transparent glass, smoke grey, amber and light pink. 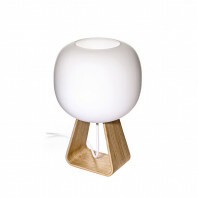 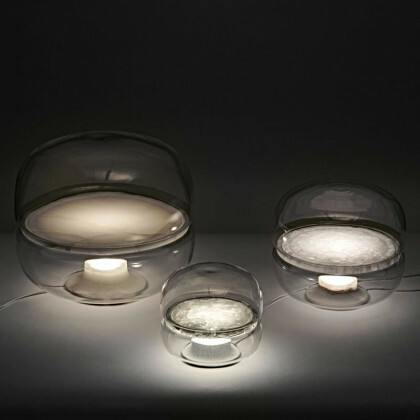 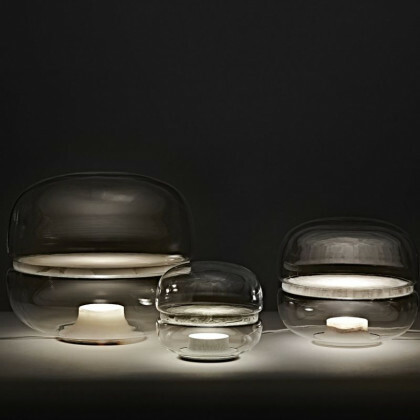 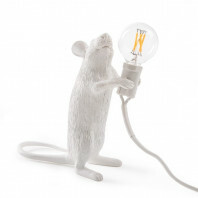 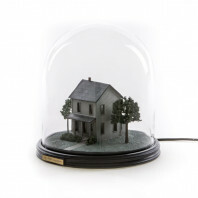 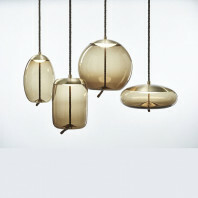 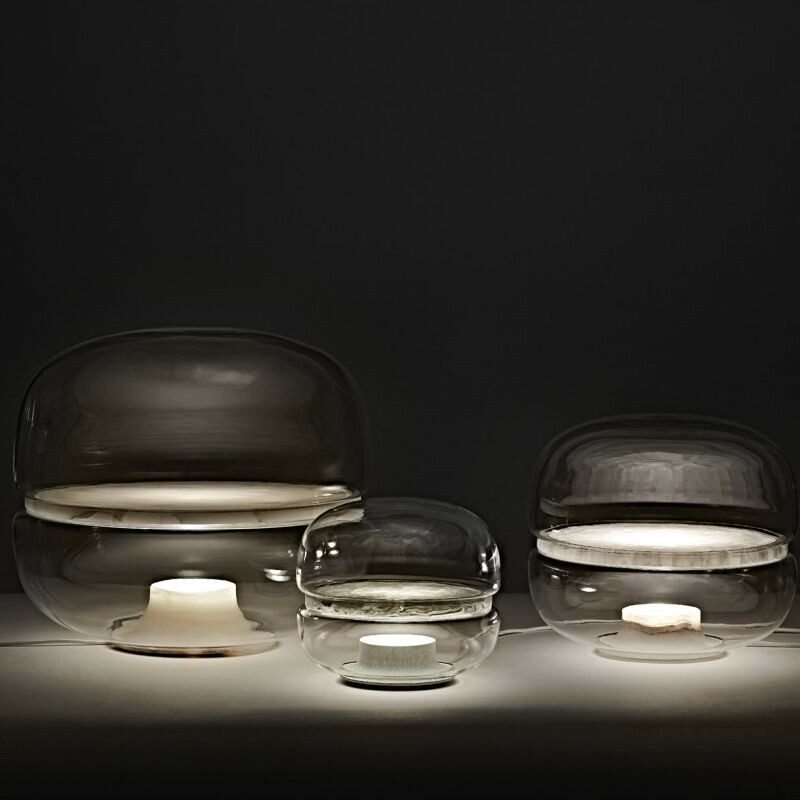 Each come in a transparent glass material and all with different finishes on the base. 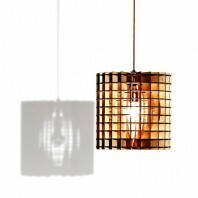 Those available are onyx white, onyx honey, european oak which is stained white and one that is stained black. 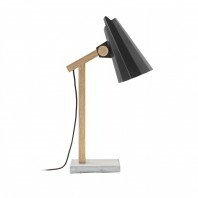 All these different options are optimised so that you can choose which style best fits the theme of your room and color coordination. 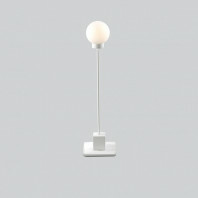 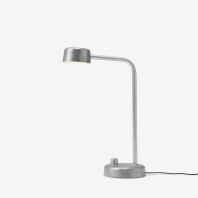 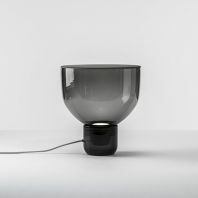 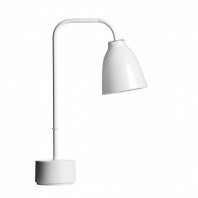 The cables are available in black, white, and grey, which keeps the lamp combination color simple and not outlandish in any way.